The health concerns actually go far beyond the 5G cell towers that are being placed approximately every 500 feet on the streets of America’s urban areas. It has now been revealed that 20,000 satellites will be soon put into orbit around the Earth to broadcast 5G microwave radiation over every square foot of ground on our planet. As has been discussed in my previous articles about the 5G cellular microwave communication system, it will be much faster than the current 3G and 4G systems. 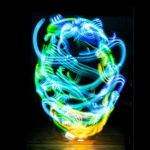 However, it will use a much higher frequency range in the electromagnetic energy spectrum. These frequencies in the gigahertz spectrum have not been used for public communication. And these millimeter frequencies have not been tested for safety. 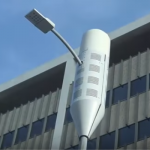 The 5G communication system will use phased array antennas, which will shoot beams of microwaves at 5G phones and other equipment containing 5G capabilities such as new computers, automobiles, and Wi-Fi hubs. 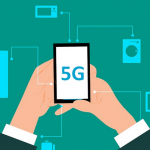 Despite the lack of testing to prove that 5G is safe, telecom companies and the Federal Communications Commission (FCC) are in agreement that no one should worry about health effects of 5G. Their advice to the American public is based on assumptions that were made in 1998. But, the research at that time was questionable because it only examined health concerns related to the heating effect of the microwave radiation. This article will look at some of the newest information about microwave radiation risks and the concerns that are being raised by those who have been studying this form of non-ionizing radiation. For those who are new to this topic, you may wish to read some of my previous articles about health concerns related to radio frequency pollution to obtain background information about 5G and other wireless communication systems such as Wi-Fi. In a ten-year study of rats and mice conducted by the National Toxicology Project (NTP), government scientists in collaboration with non-government scientists concluded that there is “clear evidence” of an association between microwave radiation exposure from what is known as the second generation (2G) and third generation (3G) cell phone systems and the formation of cancer in the hearts of male rats. 5G technology that utilizes electromagnetic waves that are smaller than 4G technology is being built and installed despite not having been tested by the government or the industry for negative health effects. Joe Imbriano warns that 5G technology will broadcast at 60 GHz, which is the absorption spectrum of oxygen molecules, which means it can kill at a distance. At the molecular level, these frequencies affect the orbit of electrons, and that affects the ability of blood hemoglobin to bind with oxygen. If blood cannot hold oxygen, the result is death by suffocation. In short, 5G technology has the potential of being used as a weapon to quickly weaken, disable, or destroy individuals or populations. Green Med Info published an article, Citizens Up in Arms Against 5G Wireless Technology Roll-Out: Are Their Concerns Justified?, by Lloyd Burrell on March 27, 2018, that describes several studies conducted on the effects of 5G technology that suggest serious health problems, from skin cancer to immune system problems, may be linked to it. Read the full article here.